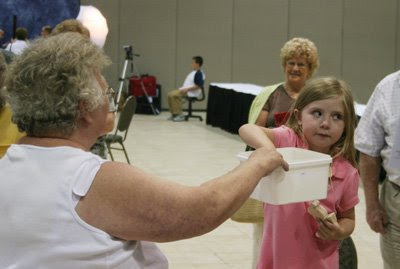 Here are just a few pictures from SAW EXPO 2008. More to come later. 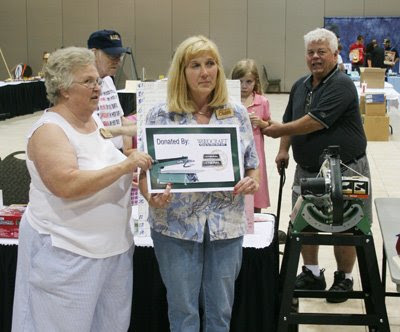 The Scroll Saw Association of the World Expo 2008 was last weekend. The show contest was judged the second day and the ribbons were handed out. All the projects were outstanding and deserving of praise. The judges have a job to do and they have to pick the winners. 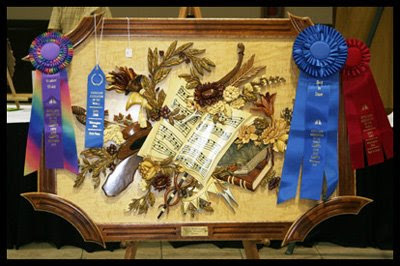 The judges spent a lot of time examining the work closely looking for flaws that the average person would never notice. That's what it takes to find a winner. After much anticipation they placed the ribbons and the winners were known. 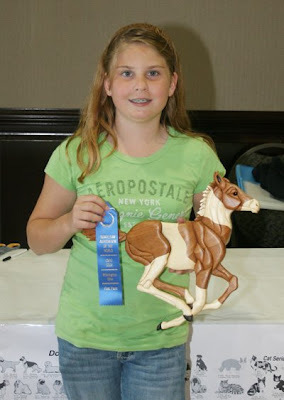 I wanted to show video of as many ribbon winners as possible. 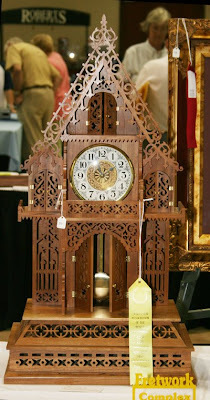 I am sorry I missed some of the winners but the show ended very quickly and I just could not get to every display. 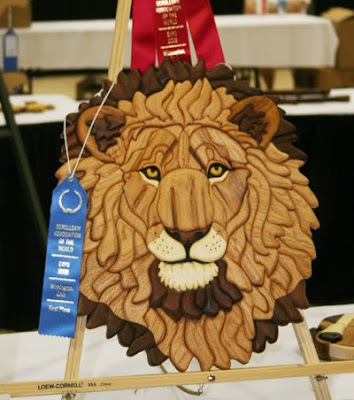 This intarsia project was awarded best of show. The picture does not do justice to how beautiful it actually was in person. I don't have the name of the artist right now but I will update the post when I get the name. 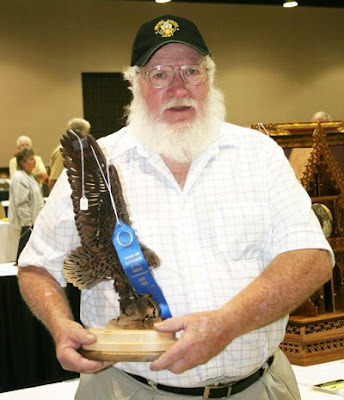 I know many of you will recognize Charles from all the patterns and articles he has had published in Scroll Saw Woodworking and Crafts magazine. I was thrilled to get an email from Charlie today. He stumbled by my web site and dropped me a note to say hi. Charlie is a master portrait pattern designer and has recently publish a pattern book that I know many of you will want to check out. 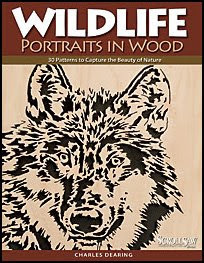 The title of the book is Wildlife Portraits in Wood. Here is the link to the book. Click Me. Charlie also has his wonderful patterns available for sale on his website. He does custom patterns for very reasonable prices. If you need a portrait pattern of a loved one this is the guy to go see. Web Site. As a treat for my readers Charlie has donated a pattern for everyone to download for free. 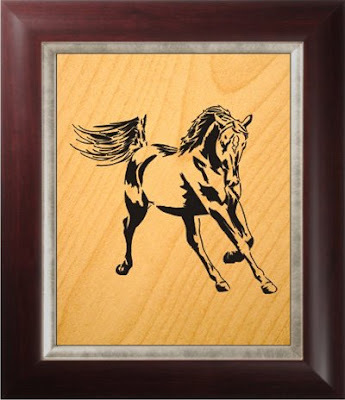 The wild Horse pattern is shown below. It is a beautifully designed pattern and should be a fun challenge. 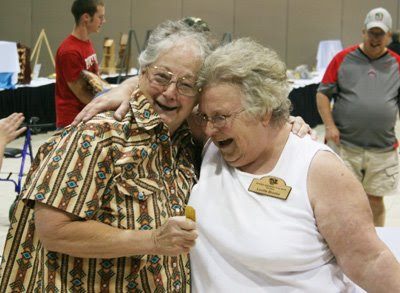 My wife I were able to attend the Scroll Saw Association of the World EXPO 2008 in Wilmington, Ohio this weekend. The Expo opened at 9am on Saturday. Attendance for the show was pretty good the first day. Sunday was a little slow but everyone that came saw a nice show. The event was held at the Roberts Convention Center. The venue was first class from the spacious convention floor to the beautiful hotel. My wife and I spent Saturday night at the Holiday Inn attached to the Convention center building. The service was superb and the room was very nice. We definitely enjoyed our stay. There were several seminars both days. 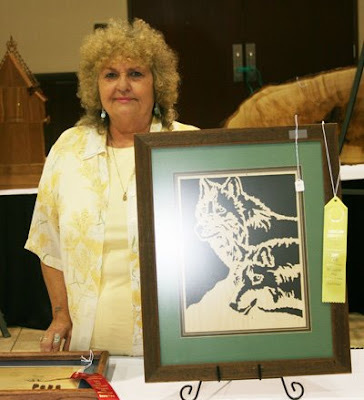 Woodburning with Cheryl Dow, Compound Cutting with Diana Thompson, From the tree to the saw by Wes Demerest, Parquerty by David Adler, Intarsia techniques by Kathy Wise. These speakers wraped up the first days seminars. The ones I checked out seemed to be well attended. On Sunday Bob Duncan spoke about Article writing for magazines and Joannie West talked about Cut, Sand, Glue and Finish. The only seminar I had time to attend was by Diana Thompson. Diana is a friendly and open person and she made the lecture entertaining. She discussed Basic compound cutting. I would estimate about 45 people attend Diana's seminar. After her presentation she took question and stayed around after to make sure everyone had their questions answered. I enjoyed the presentation and it looked as if the others in the room did also. This first video is a sights and sounds introduction so the EXPO. The video is no where near a complete rundown of the show. I spent so much time talking and enjoying new friends that I neglected the video camera a bit. 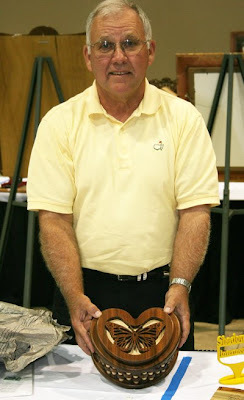 The last video for this post is an impromptu demonstration by Rick Hutcheson. Rick free hand cuts tiny compound cut reindeer without a pattern to the delight of the crowd. 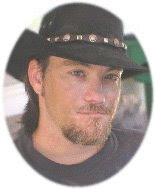 Rick is a master scroller and you can visit is web site here. Thats all for this post. I will have more video and pictures in tomorrows post.